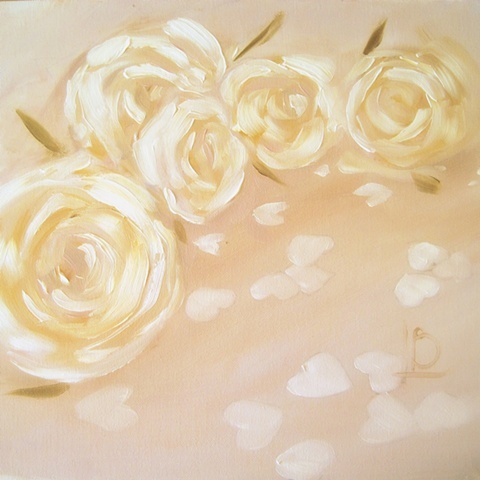 A small and pale painting of white rose blooms and white, heart shaped confetti. This image was originally commissioned by Paperlink for use on a Wedding card. Whether it's a wedding gift or not, there's a romantic feel to this painting.